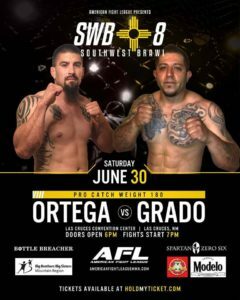 AFL: Southwest Brawl 8 is scheduled for June 30 at the Las Cruces Convention Center. New Mexico’s, Steven Ortega (1-1), returns to action for the first time since July 2014. Ortega has fought twice as a pro, going the distance in both bouts, losing to Javier Palacios & defeating Terrin Yazzia. 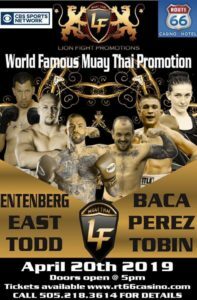 Texas’s, Daniel Grado (4-2 amateur) will head into his pro debut a little more than a year and a half after his last amateur contest. As ab amateur Grado has won his last with 3 knock outs. This fight has brawl written all over it.